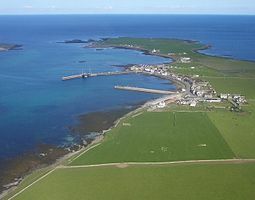 Sights on the island include the Vat of Kirbister, a natural arch described as the "finest in Orkney" and various seabirds amongst which are Arctic terns. The house is two storey with a large kitchen and large sitting room, 3 bedrooms upstairs and a bathroom and an office/4th bedroom and utility/bathroom down stairs. The grounds consist of two small paddock areas and a 9 acre field. It also has a garden and a large parking area. The buildings range from traditional byres to a large shed with inspection pit. 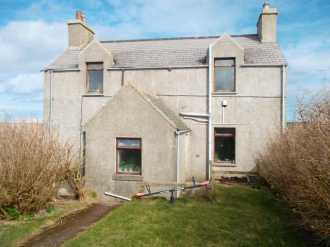 This is a private sale freehold. At present there are 50 ewes on the ground with a small rental income from other farmers. The island has internet access.